How will you ever live this down? You honestly meant to say one thing and blurted out something embarrassingly different. Something you would have never said in your wildest dreams. And deep down you have to admit that your little faux pas was exactly what you were really thinking. But to publicly say such a thing? And you only had one sip of the Vetliner. Truly! Silence spreads through the room faster than a super virus. All faces land on you. Their eyes flash expectancy mixed with Schadenfreude and a slight tinge of pity. After all, they were all thinking the exact same thing that you oh so audaciously blurted out! Unglaublich! Who will utter the witty remark to save you? The large gentleman in the cheap suit with the red nose and striped button down shirt two sizes too small? 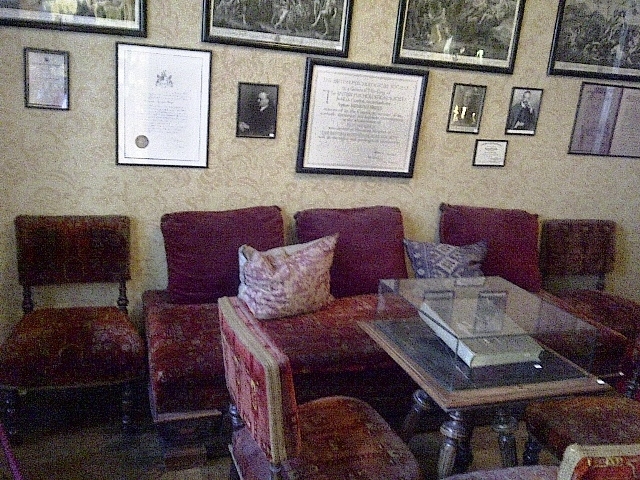 “What in the world ever possessed me to say such a thing, Herr Dr. Freud?” You ask curled up in the Berggasse 19 in Vienna’s 9th district on his cozy divan looking out onto the shady quiet courtyard. First you had run to his favorite hang out, Café Landtmann , but the Oberkellner Johann informed you that the Herr Dr. doesn’t usually arrive until later. So you dodged the trams around the Ring, by-passed the university, onward past the Votiv Cathedral, and then turned down the Berggasse where a carriage almost ended your misery until finally, out of breath with reddened cheeks and an anxious disposition, reached his house and office. 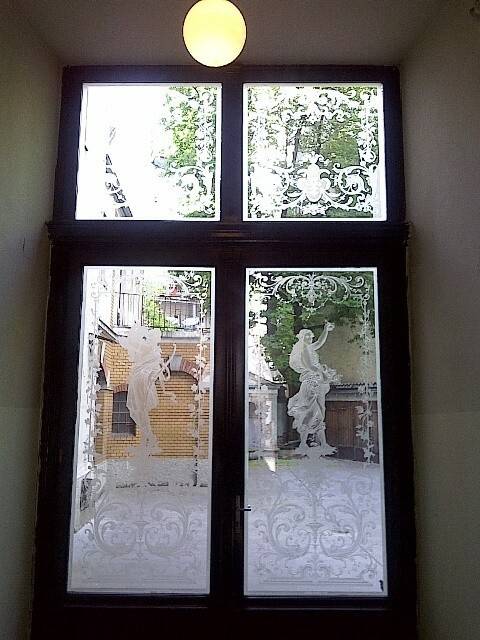 You rang the bell, rushed up the beautifully tiled Jugendstil stairs and then pressed the buzzer of the first floor apartment. “What’s wrong with me, Herr Doktor?” you ask. He reveals the secrets of the little devil residing in your subconscious. That rascal finally managed to get the upper hand at the most inopportune moment and blurt out what you were really thinking but knew, deep down inside, you could never, would never, say, wish, or openly believe. Oh but that little devil of yours couldn’t resist a little fun. Splash some life into another yawn-invoking Viennese Jour fixe soiree. ‘Not another evening of society socializing and trying to out intellectualize one another!’ That little devil inside of you thought and he really made you pay. 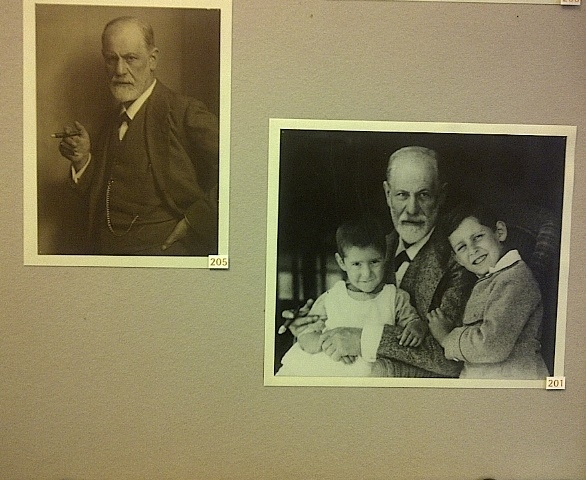 Austrian medical doctor, Sigmund Freud, knows what he’s telling you. Sigmund Freud’s reading glasses and fountain pen. He wondered about the exact same kind of things over a hundred years ago and in 1901 published a book about it entitled The Psychopathology of Everyday Life. 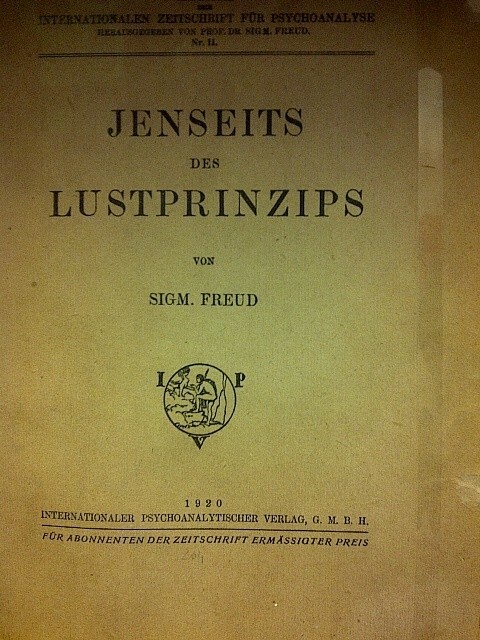 And his theories on the subconscious and repression have since become so widely acclaimed that Freud is now known as the Father of Psychoanalysis (the ultimate “lay on the couch and tell me what you’re thinking” guy) and what you did at that party is now called a Freudian slip. A Freudian Slip when your subconscious (the thinking going on that you are not aware of but is still taking place under the surface) takes the steering wheel of your actions (speaking, writing) and shows the world in big bold letters what you are really thinking but don’t want to admit –publicly and to yourself. Those slips occur when you are repressing often times unacceptable thoughts, beliefs or wishes, keeping them at bay from conscious awareness. But no worries, you are not alone. Some studies show that slips occur twice every 1000 words and in conversations, people slip up between 7 and 22 times each day. Former US President George Bush, when talking about growing up in Midland, Texas, said: “It was just inebriating what Midland was all about then.” Yep. That’s how it seems if the bottles stack up. 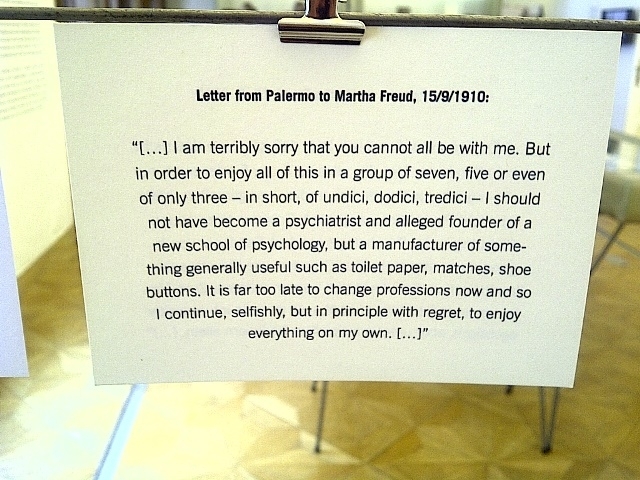 Maybe George Bush had just read one of Freud’s books – “Beyond the Please Principle” published in 1920. 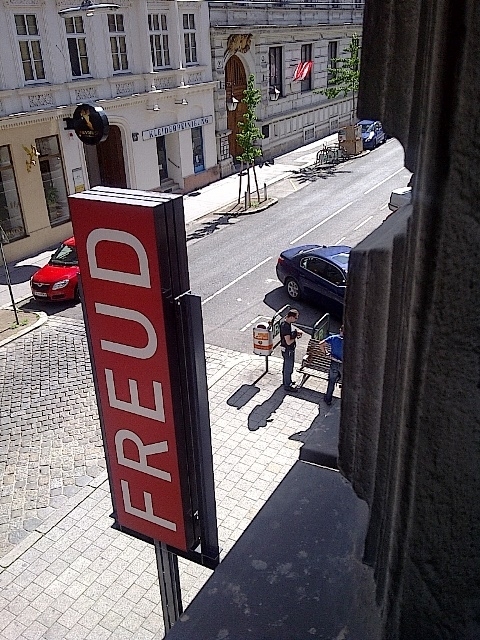 Entrance to the Freud Museum in Berggasse 19, 1090 Vienna, Austria. 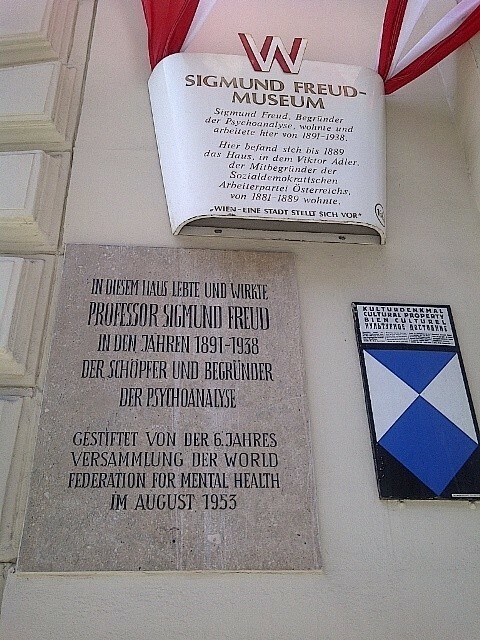 Entrance to Courtyard of Berggasse 19, Sigmund Freud’s residence in Vienna. KC Blau is originally a steel city girl who has resided amongst the cobble-stoned lanes of Vienna, Austria for over 15 years. 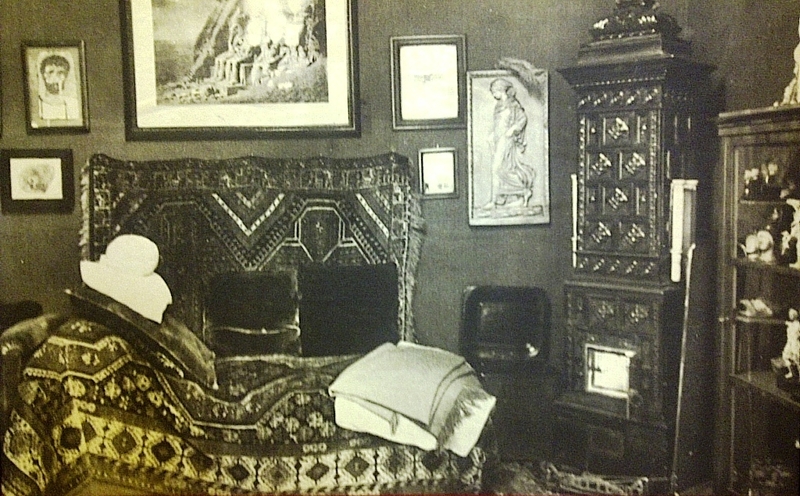 She is a German-English translator who loves to relate the tales of a bygone era of the fascinating women who lived, loved and struggled (not necessarily in that order) in turn-of-century Vienna. Copyright © 2019 K.C. Blau. All rights reserved.